Mauritius Multi Centre Holidays @Web2move.co.uk Online Since 2000. Luxury Holidays from Award Winning Travel Companies including Kuoni or Luxury Tailor Made Holidays by Travel Experts. Mauritius Multi Centre Holidays Online Since 2000 Multi Centre Holidays @Web2move is designed to help you find the information you need when planning Mauritius Multi Centre Holidays. View Top Mauritius Luxury Hotels to help you pre-plan Luxury Mauritius Holidays for your Honeymoon, Anniversary or Special Event. Compare Mauritius Multi Centre Holidays Itineraries from Award Winning Travel Companies including Kuoni or Enquire about Tailor Made Luxury Mauritius Multi Centre Holidays created for you by an Independent Travel Expert. Make your holiday extra special with a "tailor made" Mauritius Multi Centre Holidays at 2 or 3 or 4 different locations including Seychelles, Africa Safari, Maldives, South Africa, Dubai. Over the years we have helped many people arrange their Mauritius Multi Centre Holidays. We know that no two Mauritius multi centre holidays are the same. Everybody wants something different. It could be your Honeymoon, Wedding or Special Anniversary. 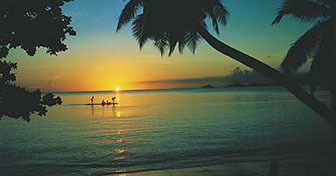 Combine a luxury beach holiday on Mauritius with a South Africa tour, Africa Safari or Seychelles. It is for this reason that it is very difficult to book Twin or Multi Destination Holidays online. That is why we recommend Tailor Made Mauritius Multi Centre Holidays with ATOL and ABTA Operators building your holiday from a wide range of suppliers. Our extensive experience shows that enquiries for Mauritius Multi Centre Holidays are generally looking for Mauritius Luxury Hotels. To help you Compare Mauritius Luxury Hotels, we have show a list of the Top Mauritius Hotels below. All of the above Luxury Hotels can be included in Tailor Made Mauritius Seychelles Multi Centre Holidays. Which one do you choose? Try Mauritius and the Seychelles or two or more islands in the Seychelles, such as Mahe and Praslin, Mahe and Silhouete Island or Praslin, Desroches and Mahe. 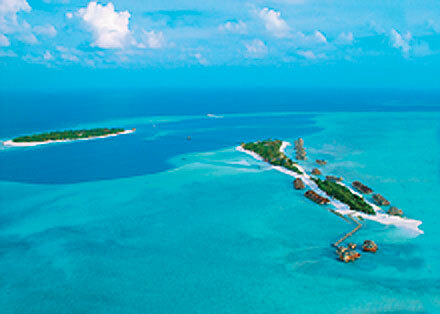 You could even include an Island Hopping Cruise as part of your Mauritius Seychelles holiday. Mauritius South Africa Multi Centre Holidays can include a stay in Cape Town, a Safari Holiday in Kruger national park or Private Game reserve stay for a very special experience. Stay in a five star tented camp in the Maasai Mara plus a deluxe resort in Mauritius. Get More Information about Tailor Made Mauritius Kenya Safari Multi Centre Holidays. Combine a beach stay on Mauritius with a Kruger Safari Private game Reserve stay in South Africa. Why not try this alternative Safari destination combined with the exotic luxury of the Mauritius. Get More Information about Tailor Made Mauritius South Africa Kruger Safari Multi Centre Honeymoons. Online Since 2000. We have lost count of the number of times we have helped find the Perfect Combination for Indian Ocean Multi Centre Holidays.